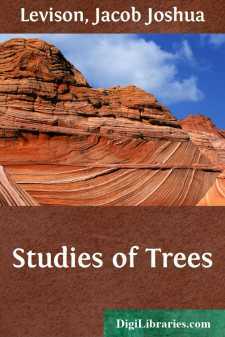 There are many ways in which the problem of identifying trees may be approached. The majority attempt to recognize trees by their leaf characters. Leaf characters, however, do not differentiate the trees during the other half of the year when they are bare. In this chapter the characterizations are based, as far as possible, on peculiarities that are evident all year round. In almost every tree there is some one trait that marks its individuality and separates it, at a glance, from all other trees. It may be the general form of the tree, its mode of branching, bark, bud or fruit. It may be some variation in color, or, in case of the evergreen trees, it may be the number and position of the needles or leaves. The species included in the following pages have thus been arranged in groups based on these permanent characters. The individual species are further described by a distinguishing paragraph in which the main character of the tree is emphasized in heavy type. The last paragraph under each species is also important because it classifies all related species and distinguishes those that are liable to be confused with the particular tree under consideration. Group I. The Pines Fig. 1.—Twig of the Austrian Pine. How to tell them from other trees: The pines belong to the coniferous class of trees; that is, trees which bear cones. The pines may be told from the other coniferous trees by their leaves, which are in the form of needles two inches or more in length. These needles keep green throughout the entire year. This is characteristic of all coniferous trees, except the larch and cypress, which shed their leaves in winter. Fig. 2.—Twig of the White Pine. The pines are widely distributed throughout the Northern Hemisphere, and include about 80 distinct species with over 600 varieties. The species enumerated here are especially common in the eastern part of the United states, growing either native in the forest or under cultivation in the parks. The pines form a very important class of timber trees, and produce beautiful effects when planted in groups in the parks. How to tell them from each other: The pine needles are arranged in clusters; see . Each species has a certain characteristic number of needles to the cluster and this fact generally provides the simplest and most direct way of distinguishing the different pines. In the white pine there are five needles to each cluster, in the pitch pine three, and in the Scotch pine two. The Austrian pine also has two needles to the cluster, but the difference in size and character of the needles will distinguish this species from the Scotch pine. Distinguishing characters: The tree can be told at close range by the number of needles to each cluster, . There are five needles to each cluster of the white pine. They are bluish green, slender, and about four inches in length.